Old Charm In the heart of Olivenhain and at the end of a tree lined drive you will find this great Olivenhain horse property on a large 2+ acre lot, offering fabulous resort like backyard complete with sparkling pool, hot tub, beautiful covered patio. One of the premier lots in the area with incredible views and privacy. Large guest suite with kitchen , super bonus room/play room. 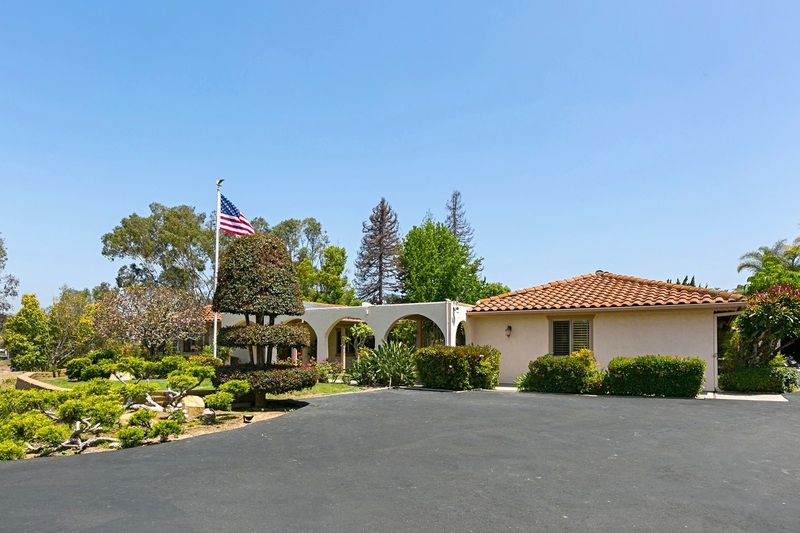 Solar panels, two horse stables, Private exceptional home. Top rated schools, hiking & horse trails nearby., In the heart of Olivenhain and at the end of a tree lined drive you will find this great Olivenhain horse property on a large 2+ acre lot, offering fabulous resort like backyard complete with sparkling pool, hot tub, beautiful covered patio. One of the premier lots in the area with incredible views and privacy. Large guest suite with kitchen , super bonus room/play room. Solar panels, two horse stables, Private exceptional home. Top rated schools, hiking & horse trails nearby. Property has owned solar system that results in substantial savings and usually no monthly electric bills.